ILX is a young and dynamic company operating in control and automation.Combining advanced technology with its experienced and developing staff, ILX ENGINEERING today responds to all applications from the lowest level of different automation systems to the highest level of control. 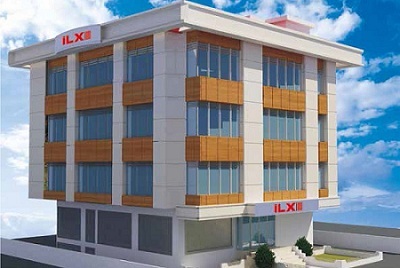 ILX is respond to the needs of Turkey Companies in automation with trust and support. The main features of the automation systems offered by ILX Engineering are to optimize the resources used in accordance with the changing market conditions, to improve economic and technical efficiency, to standardize the quality and to improve the working conditions. Total Quality is the basic business principle and life philosophy for us. Our policy is to resolve the product and service needs of our internal and external customers with low-cost, error-free and timely performance. We give great importance to worker health, work safety and environmental protection while doing this.Our goal is to provide safe, healthy work and environment to our employees and society. ILX Voice and Video Signal Products (Warning Lights, Illuminated Columns, Tubular Horns, Multi-level Warning Lights, buzzer and modular) and Fenac Encoders are our own production and export. We are distributor of world-renowned European and Far Eastern brands (Kinco, Siko, di-soric): PLC, HMI, Stepper Motor and Drives, Servo Motor and Drives, Indicators, Actuators, Magnetic Sensors and Tapes, Compact Servo Sets, Sensors etc. We trust our people, our most valuable resource, and continuously train them to improve their skills and abilities and we believe that they will use the authority delegated to them as required by their responsibilities.We encourage and reward our employees for their participation and contributions to continuous improvement activities which are the basis of success. We are a large and powerful team that combines the common interests and objectives of employees and the organization. We create a winning team spirit by enabling our employees to embrace participation and creativity. Our vision of leadership is to develop vision and strategy, focus our employees on targets and provide them with the necessary support to be successful. We are aware of the expectations of all stakeholders, including customers, shareholders, suppliers and the community. In all our activities, we act in accordance with the ethical principles of business ethics.